Be comfortable, stylish, and professional! 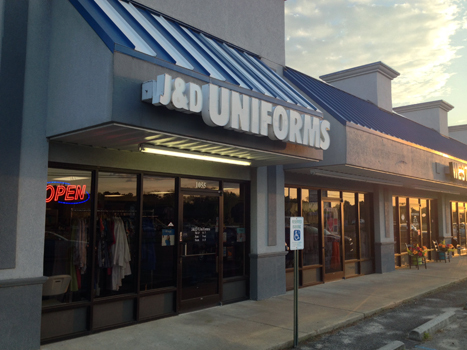 Come in and see all that J & D Uniforms has to offer. Offering the latest styles and personalized customer service. What are you looking for? 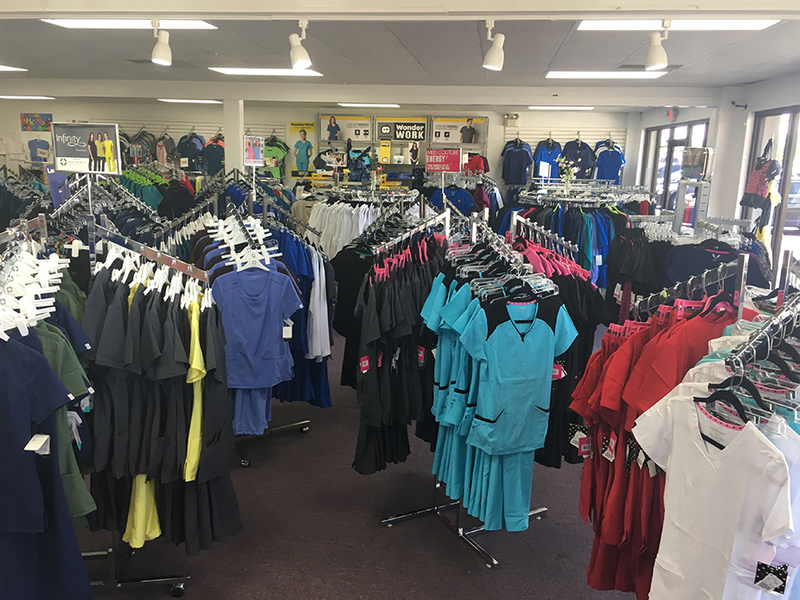 Looking for the latest fashion, with the softer more breathable fabric? 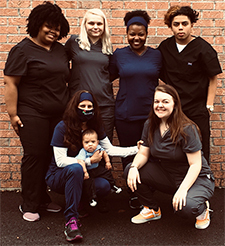 Do you just want the basic scrubs you have always worn? Are you just curious to see what's new? Come on in and see what here! Our staff continues to learn about all the great options that are available. One of the best parts of our job is helping you find what works best for you. 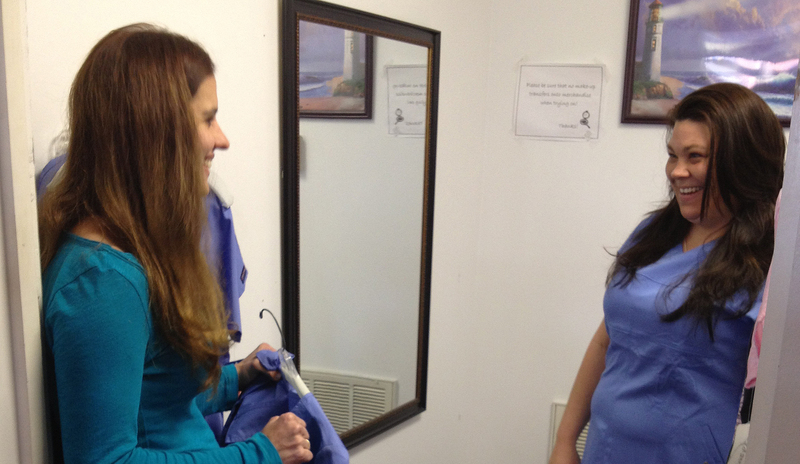 Helping the fit that makes you look professional! 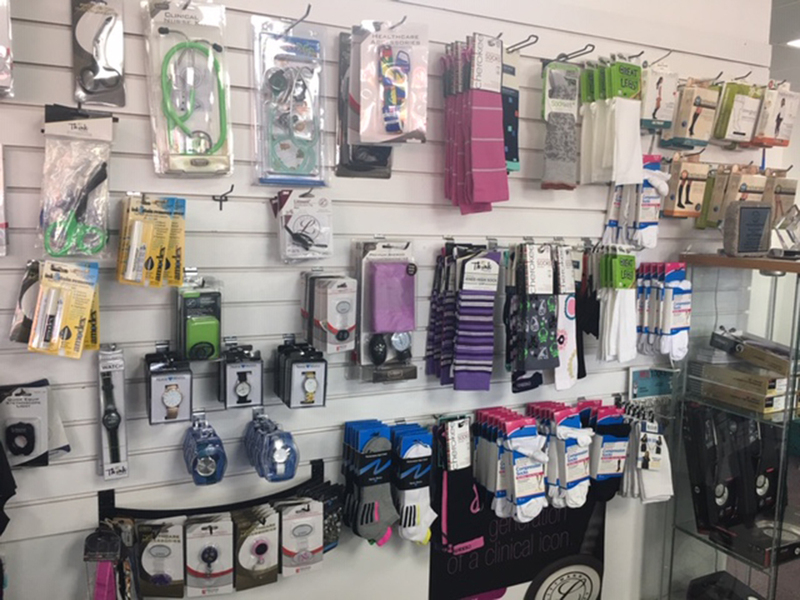 Find everything you need from stethoscopes to compression socks.